Fresh fruit juice business or shop is a great opportunity for entrepreneurs trying to start a new business with low investment. Changing lifestyle and demand for hygienic and clean fruit juices is creating a growing demand for fresh fruit juices in India. The fresh fruit juice industry in India is largely unorganised and an untapped industry. Hence, many new entrants have now been able to quickly create large business and brands like RAWpressery and PaperBoat. The investment in capital equipment and raw material could be low or high depending on the scale of business. But, overall the fruit juice business has low capital investment requirement to quickly break-even, owing to high profit margins. According to the business experts and market research the current market size for the fresh fruit juice business in India is around 3200 crore. The market is estimated to grow at the rate of 25%-30%, owing to factors like urbanization, increasing disposable income and entry of organised players into the market. Majority of the fresh fruit juice business in India is still unorganised and dominated by road side shops, run by sole proprietors. However, organised players have began penetrating Tier 1 and Tier 2 cities in India by establishing fresh fruit juice chains and distribution of pre-packaged fresh fruit juices. Entry into the organised fresh fruit juice business can be made in two ways viz. establishing a fresh fruit juice shop or by distributing pre-packaged fresh fruit juice. Each of the model has its own pros and cons. Establishing a juice shop or a chain of juice shops requires minimal capital requirement. Typically a small juice shop with a seating capacity of about 10 – 20 can be established with an investment of about 10 – 15 lakhs. There are also various options available to opening a franchise unit of an established chain of juice shops. The advantages of establishing a juice shop are that it would require minimal capital investment, can serve as a source of income and would have good demand in areas like canteens, fitness centres, malls and airport. Further, in addition to selling fruit juices, snacks and food items like sandwiches, snacks and other beverages can be sold at a juice shop to create additional sources of revenue. However, the scalability of a stand-alone juice shop is limited and success would largely depend on the location of the juice shop. Bottled or pre-packaged fruit juices are beginning to replace the traditional unorganized juice shops in India. Development in food processing technology, cold chains and packing methodologies has created an environment wherein fresh fruit juice can be manufactured, transported and distributed over a wide geography while remaining fresh. Also, the current trend of eating healthy and fresh is driving a change in lifestyle globally with many finding an alternative in fresh fruit juice to bottled or fizzy drinks. This has led to the creation of various businesses that are highly scalable. However, the creation of a successful pre-packed juice business requires high investment in equipment, bottling plant, raw material, branding and distribution network. The requirement for registration and license would vary based on the format of the fresh fruit juice business. Unorganised fresh fruit juice shops seldom have any registrations except for a FSSAI registration. However, large format juice shops that have plans for creating a franchise model are typically established as a private limited company with FSSAI license to accommodate future scaling up of the business. Pre-packaged fresh fruit juice businesses are almost always created as a private limited company to have easier access to bank or equity funding. Further, establishing a business as a corporate entity will also ensure its easily transferable, provides limited liability protection and has perpetual existence. Its highly advisable for a new fresh fruit business or an existing fresh fruit juice business which has a unique name/brand to obtain trademark registration. Trademark registration will ensure the brand is not copied by competitors and the business is franchisable in the future. Registration or licensing with the Food Safety and Standards Authority of India is a must for all juice shops or juice businesses. The requirement between FSSAI registration and FSSAI license would vary based on the type and scale of the fruit juice business. 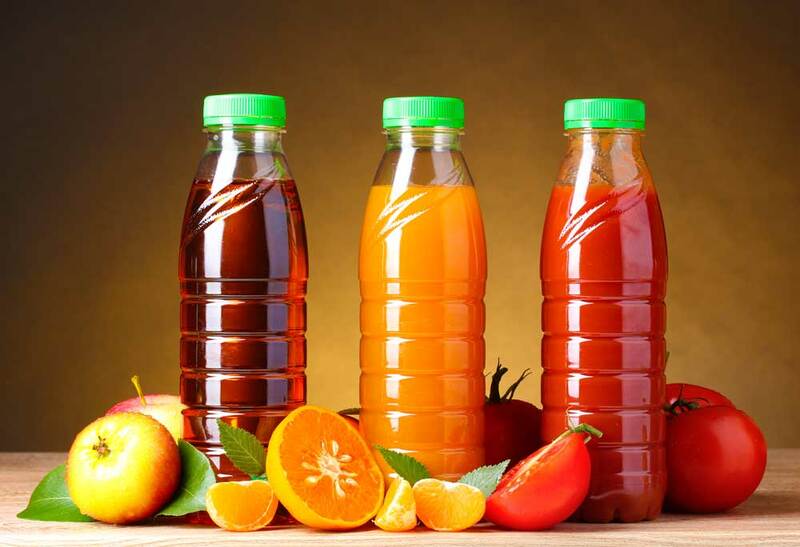 In addition to the FSSAI license or registration, testing of bottled juices for various parameters and compliance with food labelling regulations in would might be mandated by FSSAI to ensure the product is safe for consumption. I am the producer of fruits like Mango, Guava & Papaya in about 100 tons per annum. Interested on farm based pre-packaged fruit juices unit to start up in smaller quantities. Kindly suggest the right approach to start in organized manner. Thanks in advance.